OK I’ll make this quick. If you are female and have skin you need this book. Pretty Honest combines the beauty of a coffee table book with the actual content of a reference book. It is full of fun, useful information and observations, not fluff. With sections on skin types, skincare, foundation, public grooming, perfume, teens, acne, red lipstick, beauty and motherhood among many, many others, the one that tells you what you need to know about Sali is ‘how to pay and receive compliments’. I always judge a woman (sorry not sorry) by the amount of female friends she has*. And Sali is surrounded by women. All of whom are fiercely loyal and vocally so. Sali is a woman’s woman. If you don’t have that friend to tell you what you need to hear rather than what you want to hear, Pretty Honest will be even more of a revelation to you. 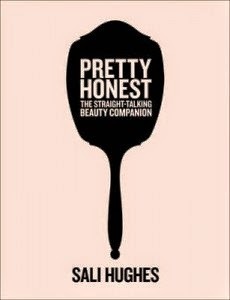 Pretty Honest is out now and available at all good booksellers including ones that pay their taxes in the UK like www.waterstones.com. * Right. 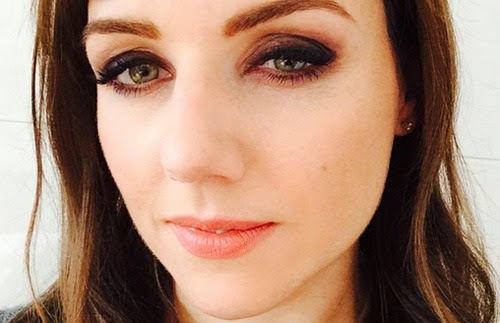 A few people have asked me to ‘explain myself’ regarding my comment about judging a woman by the amount of female friends she has (see comments) – here’s the thing *sigh*. I am talking about the woman who only has male friends and is actively negative towards her female sisters. I am talking about a woman who will throw her female counterparts under a bus (figuratively speaking) to impress a man. I am talking about the woman who finds it impossible to offer up a compliment or say anything nice to a woman because she feels threatened. I am not talking about a woman who has no/few female friends through circumstances or her own choice. I am actually incredibly non-judgmental. Do what you like. When you like. (OK – within reason) That’s the point. My tone is frequently ironic. As am I. And on a side-note. I think part of the popularity of this blog is that I talk as if I am talking to a friend, not scripting a page on a blog – or cut and pasting a press release. I am talking as if we were having a chat over a cup of tea. I don’t want to have to start explaining my every comment or move. Then it becomes scripted and ‘too thought out’ and frankly, fake. If there is one thing I’m not, it’s fake. See beneath the comment for the intention. My regular readers will know me, know that my intention is always, always, to help, chat, enlighten (skin-wise I mean, I’m not the Dalai Lama), entertain and hopefully just offer a good read. The rest is up to you. Thanks for reading. And go buy Sali’s book. It really is very good. Previous Post The Experts. Louise Westra from ESPA Life in Gleneagles.